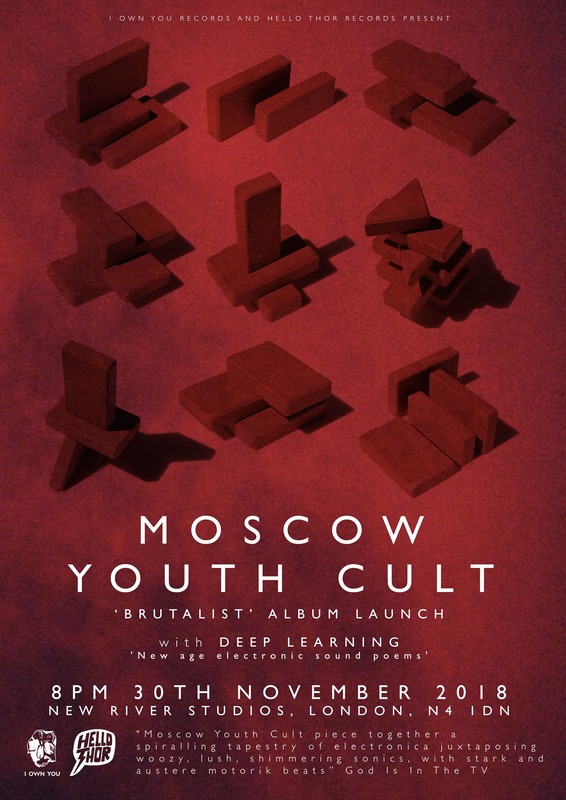 East London-based electronic music duo Moscow Youth Cult play New River Studios to celebrate the release of their second album, Brutalist. “Like the architectural style with which the album shares its name, Brutalist is bold, expressionist, textural.” – God is in the TV Zine. Ambient solo project from Richard Pike of PVT – “beautiful, measureless electronic music” (The Line of Best Fit) – promoting his second release ‘Dataverse’, on Salmon Universe Records.